When I started this blog, I never expected to uncover such a personal connection to a literary legacy. A family reunion this summer brought me to Elmira, in upstate New York. The small, rural town boasts of its enduring connection to Mark Twain. It also contains innumerable references to the Dalrymple family, which staked its claim in the area back in 1841. It turns out that while my great+ grandparents were physically toiling in the fields to create better lives for their families, Mark Twain himself was mentally toiling away in the adjacent hills to create some of the most iconic works of American literature. More than 130 years later, both of their legacies continue to inspire a whole new generation. This August, more than fifty descendents of Andrew Dalrymple celebrated the tricentennial of his arrival to America from Scotland. 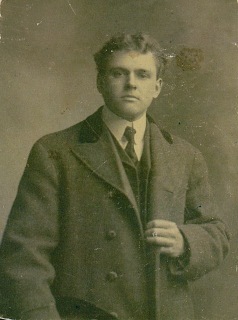 Ephraim Dalrymple purchased the original farmsead in Southport, NY (near Elmira) in 1841 and moved there with his son, Daniel. Future generations, through today, remained to raise their own families. 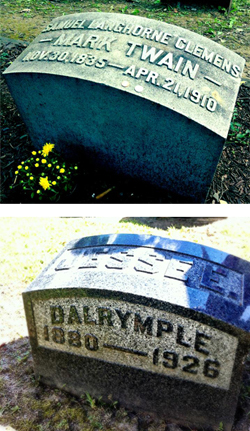 I was astonished to find a plot of Dalrymple graves in the same cemetery as Mark Twain. Could they have possibly crossed paths during their lifetimes? My great grandfather Jesse lived in Elmira from 1880-1926 and my great-great grandfather Charles from 1854-1938 (on the farm established by my great-great-great grandfather Daniel and his father in 1841). 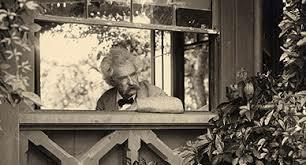 Twain spent more than twenty summers writing in the hills overlooking my ancestors’ farmland from about 1870-1890. There’s a good chance that when Twain came down from his study at Quarry Farm, he could very well have engaged with one of my direct ancestors. The literary fiend in me is giddy with excitement over that possibility. 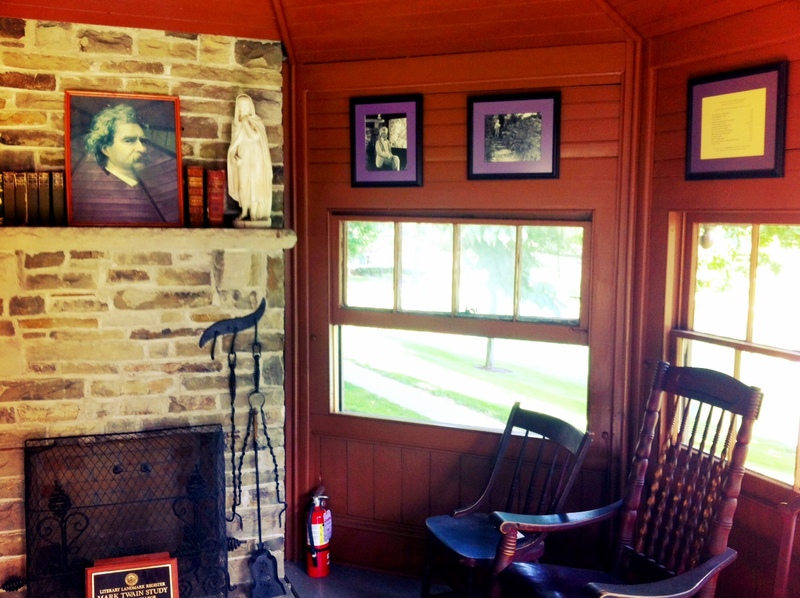 During our reunion bus tour of historic family sites, we made two Twain-related stops: one at the grave in Woodlawn Cemetery and one at Twain’s study, located on the Elmira College campus. Originally located at Quarry Farm, the hilltop home of his sister-in-law, the study was where Twain wrote many of his most-loved works including: The Adventures of Tom Sawyer (1876), The Prince and the Pauper (1881), Life on the Mississippi (1883), Adventures of Huckleberry Finn (1885) and A Connecticut Yankee in King Arthur’s Court (1889). 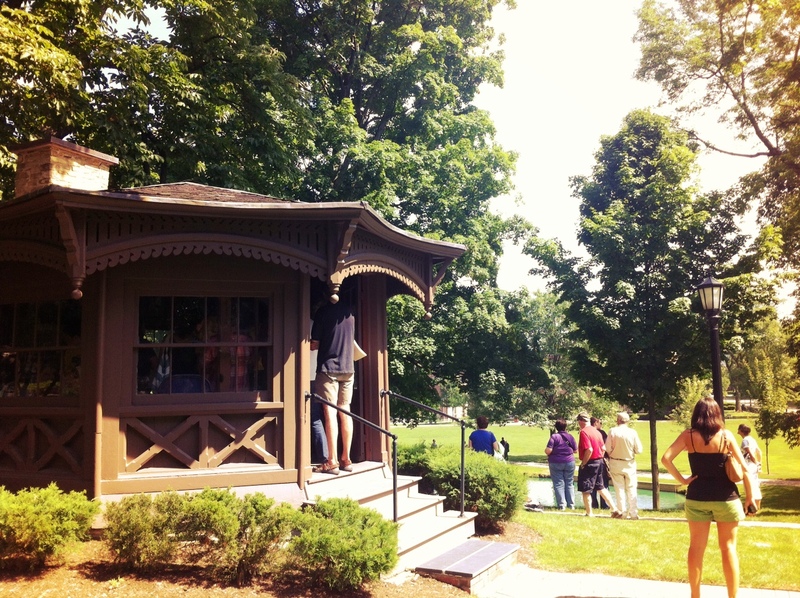 The unique, octagonal wooden nook was moved to the campus in 1952 to save it from vandals and to preserve its literary sanctity. Now, it’s a busy tourist destination. 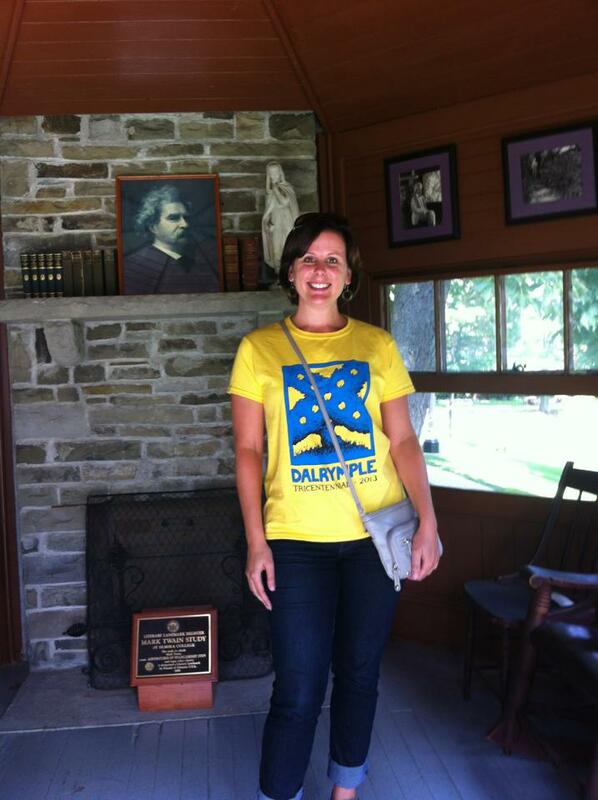 This may be called the home of Huckleberry Finn and other books of mine, for they were written here. It’s a small but cozy space, ideal for pacing, thinking, gazing and ultimately, writing. While I was honored to stand in the walls of such inspiration, it’s among the surrounding vast, rolling, green lands that the spirit of Samuel Clemens and his endearing characters endure. And it’s on those same lands that a vital chapter in the story of my family was written. 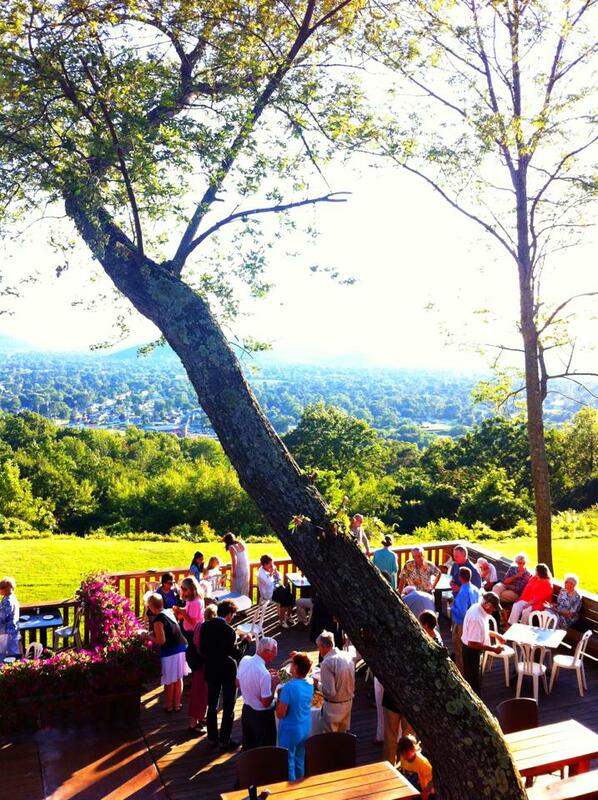 View of Dalrymple family reunion dinner from Hilltop Inn in Elmira, NY. Similar view as Twain from his study at Quarry Farm. Nice post, Julie. I’m glad you found such an exciting connection at your family reunion. I’d love a little study like that!